Jannie bested other 49 candindates in the Miss Tourism International pageant in Malaysia. Jannie Loudette Alipo-on won Miss Tourism International, beating 49 other contestants in Wednesday night’s pageant held in Petaling Jaya, Malaysia. 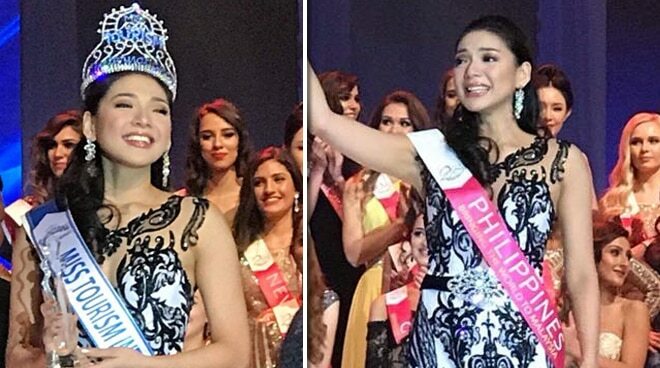 The beauty queen from Navotas is the fourth Pinay to take home the title after Angeli Dione Gomez in 2013, the late Rizzini Alexis Gomez in 2012, and Peachy Mamzano in 2000. In an article from the Inquirer, she thanks her fellow Filipinos for helping her win because of their strong support system.